Well, it’s officially the end of October, so this marks the start of when it is socially acceptable to start playing Christmas music! The start of November also marks the end of my 10th month of blogging at This Online World, and this has certainly been one of my more enjoyable months of blogging. 18 ways to make money online by tutoring. The simple math behind starting a side hustle. 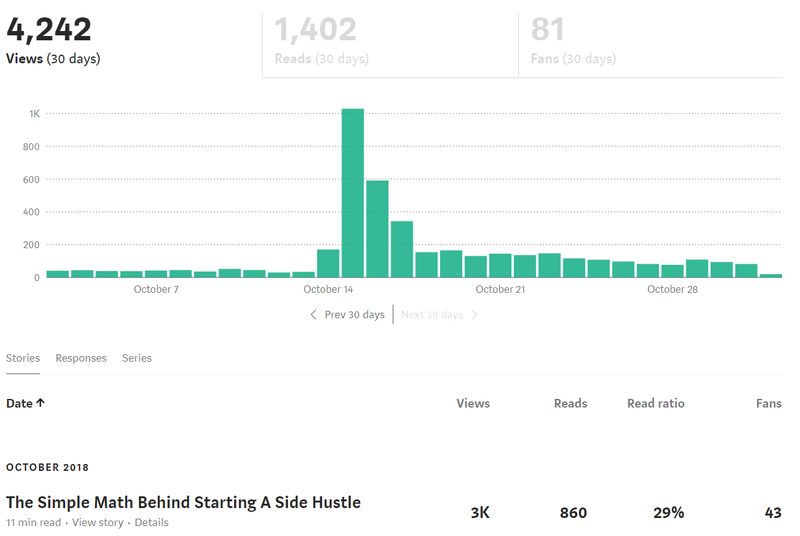 I was hoping to publish 2 more articles throughout October, but a mixture of school/work/my consulting side hustle ended up taking most of my week. However, while I didn’t publish as many articles as I would have liked, October was a very solid month in terms of SEO work. In October, I spent a lot of time adding or updating content for several older posts on my blog. In fact, I probably added upwards of 2,000-3,000 words to previously published articles. For my post on ways to earn cash back when shopping, I added information about a brand new cash back application called Caddle, and also beefed up some of the older content. Finally, I completely revamped my post on the best gig economy platforms to start a side hustle by adding pictures, new platforms, editing content, and improving the article depth. Currently, that article is over 5,000 words! You might be wondering why updating old content is worth so much effort. After all, it can seem detrimental to put new content marketing efforts on hold and to return to older work. You provide new readers with more robust articles, update incorrect/outdated information, and provide better content. You can attack new keywords or increase your keyword density on existing phrases. Google might begin to crawl your content more often. You might eventually rank better on the specific article. 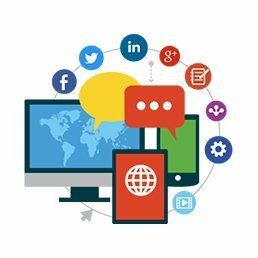 You can promote the article on social media with a new spin. I try to edit some aspect of my content at least every 2 weeks, but this month was certainly my first major editorial push. Most of the time, the positive SEO impact that is gained from updating content won’t be very apparent. In fact, you might not even notice differences for several months. However, if you truly create a better article and add more value, a lot more opportunities can open up. I updated the article around mid October and proceeded to share it on Reddit, Hacker News, and Medium. Since the article was much higher in quality, it took off on social channels with better response than when I first shared the article. Additionally, the article is now generating between 10-20 views per day, whereas it hardly ever broke 10 daily views prior to the edit. In time, I predict this post will be a major driver or organic traffic, but we will have to wait and see. Ultimately, if you’re a blogger, make sure you return to old content every so often to update information, attack more keywords, and improve your website! Anyway, now that I have created an excuse for my lack of content creation in a roundabout way, time to get into the numbers for this blogging income report! Let’s just say, it was a pretty great month! After back-to-back months of $100+ in Google AdSense revenue, it seems my numbers have finally come back down to earth a tad. I still only have 3 ad units and no in-feed ads, so I am happy to see that AdSense earnings are at least staying above $50/month. Ultimately as long as AdSense holds above a $3RPM amount as it has been doing, this is a decent amount of free income every month without sacrificing too much on the page-load/user experience front! Alright, now this surge of income definitely took me by surprise throughout October but I’m very excited to see that revenue is being generated by my dropshipping guide. Users who sign up for a Shopify plan through an affiliate link are granted a 14 day free trial. The affiliate then receives the next 2 months of their monthly subscription fee, provided they don’t cancel. 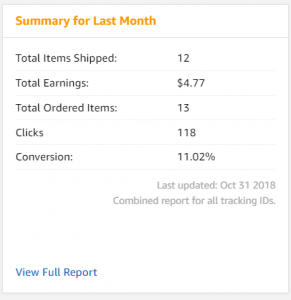 By mid-September, I had referred a few members to start their own dropshipping business, and their trials basically began to expire throughout October. That’s almost a 58% conversion rate for Shopify trials! I hope to continue growing my dropshipping related content in the future when I have more time, but I also want to create more revenue streams that end up benefiting the users as well as my income. There are too many over-priced guides and eBooks that charge people incredulous amounts of money to give away information that isn’t worth the price. I mean, there are dropshipping courses out there that cost as much as $3,000, and they also seriously mislead people into thinking they can quit their day job or make hundreds of thousands of dollars just by throwing a webpage together. Hopefully, my push to create free and transparent content will continue to generate revenue at no cost to any reader! Additional Income Streams – Making Money with Blogging, Content Syndication, & More! Another user signed up with SiteGround web hosting to start their own blog (hooray!) – $50. My content syndication efforts on Medium earned $56.59. Amazon Affiliate income generated $4.77. Someone subscribed to SEMRush through my affiliate link – $39.98. 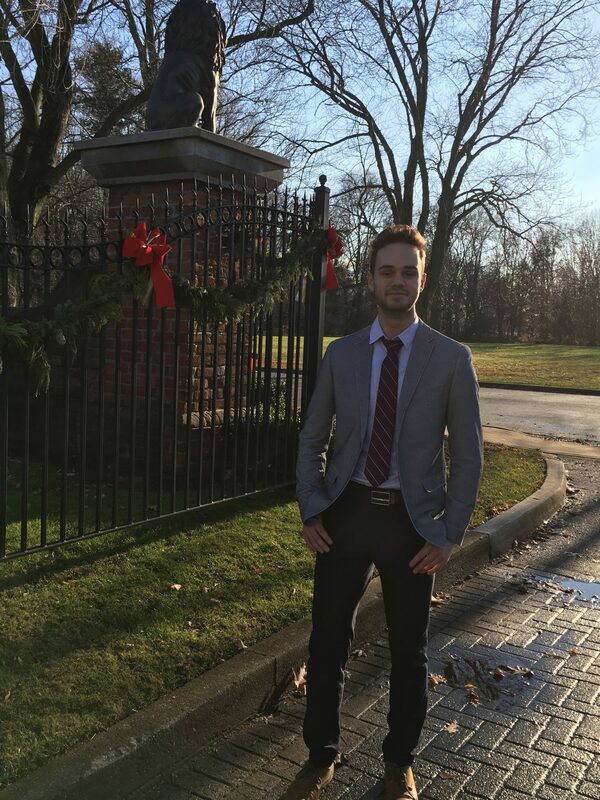 Hooray for another new blogger! Alright, a few things to note. Medium is once again proving to be a great way to drive referral traffic while earning revenue. I know I have beaten this dead horse so many times and discussed how make money on Medium through content publishing or syndication, but the point has stuck! 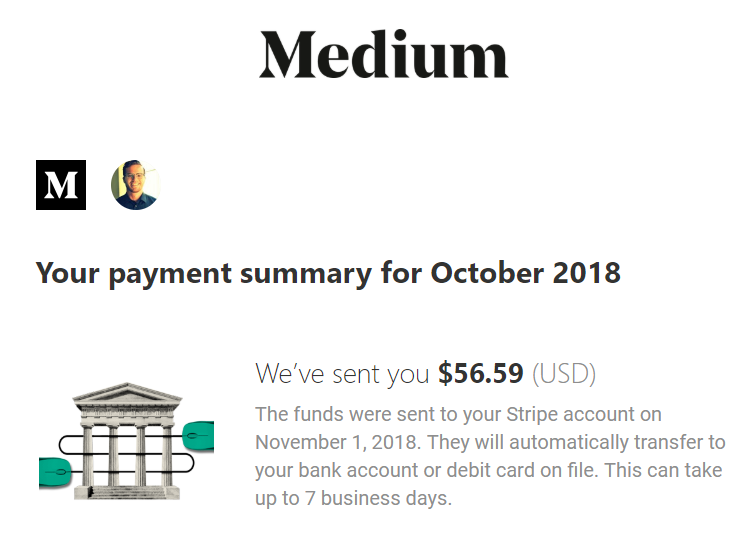 Bloggers, if you want to diversify your referral traffic, consider experimenting with Medium and the Medium Partner Program! As for the SEMRush income, this one is actually really exciting! SEMRush is a great SEO/Keyword research tool that allows webmasters to conduct some pretty in-depth keyword research, backlink analysis, position tracking, and more. I’ve used both the free trial and paid versions of SEMRush before through my work, and it’s definitely one of my preferred SEO research tools. What’s great about the BeRush affiliate program is that they provide a lifelong cookie (crazy, I know) and 40% of a user’s monthly fee. So long as the users you refer continue to benefit from SEMRush and maintain their subscription, you can earn recurring revenue! 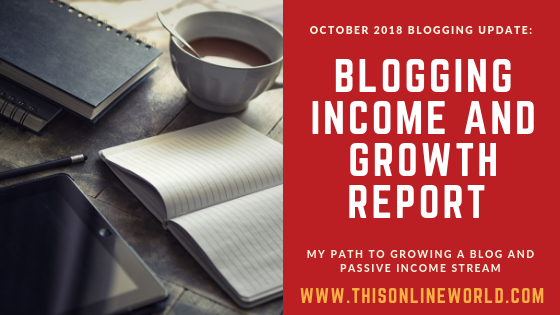 While I have stopped including some of my other random sources of passive income in my blogging reports, I still want to mention them every now and again since many original readers first found my blog through that sort of content. My phone farm is still chugging away and earning roughly $30/month now, although I will say, certain apps like App Trailers have become less passive. As a whole, I expect the industry to die or fundamentally change by 2020 since advertisers are continuing to improve their traffic quality standards and vetting processes. However, for now, I shall continue to enjoy some free Amazon gift cards every month thanks to applications like Perk TV, CashMagnet, Embee Meter, and more! I’ve also stopped expanding my farm at 9 devices, and unless something changes in the industry over the next few months, my plans won’t change. In terms of some other passive income sources, I have been putting an effort into using programs like Checkout 51, Caddle, and Receipt Hog to earn some money for my grocery spending. Unfortunately, most of the offers in these apps are still not food I regularly purchase, but these receipt scanning apps can be handy if you plan on buying household items, medicine, or pet supplies. 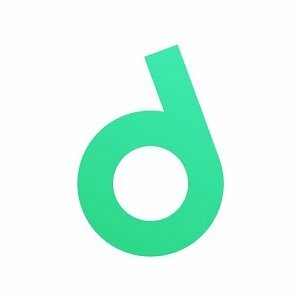 Right now, Drop is offering a ‘Give $5 get $5’ bonus for new users. Basically, if you download Drop and connect and account to it with my link, we both earn $5! I’ve been using Drop since the start of this year, and the app rewards users with Drop Points for spending at certain stores of their choosing (you can pick 5 stores from a list). Drop also offers various cash back offers and various ways to earn, but in a nutshell, you can download Drop and begin earning points when you shop at WalMart, Shoppers Drug Mart, Uber, or at several other stores/businesses. 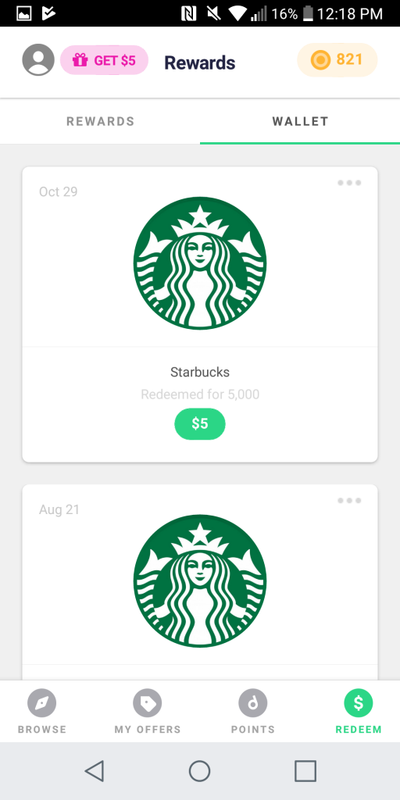 Drop isn’t a high-paying app, but it does allow me to cash out a $5 Amazon Gift card or Starbucks gift card about once a month (there are other reward options, but this is what I choose). If you want a quick $5, and to give me $5, consider giving Drop a try! If you are prompted to enter a code, you can use ‘qanon’ to activate the give $5 get $5 bonus! I’m still really excited to see consecutive months of 20,000+ views, and I am truly grateful for everyone who has been reading my content! You guys rock! Since I only published 2 posts this month and somewhat neglected my marketing efforts, this is progress in the right direction as far as I am concerned! As I mentioned, go back and give some old content a face-lift and edit your blog! Try promoting your content on relevant Reddit communities. Just be sure to provide value to readers and abide by specific sub rules on Reddit (some subs don’t allow you to post links, for example). Start marketing your blog on Quora. Submit new articles to Hacker News or other content syndication feeds. Make an effort to write guest posts to earn backlinks every month! Growing your backlink profile is absolutely critical for improving your rankings on search engines. Even if you have to start out slowly, just make a plan! 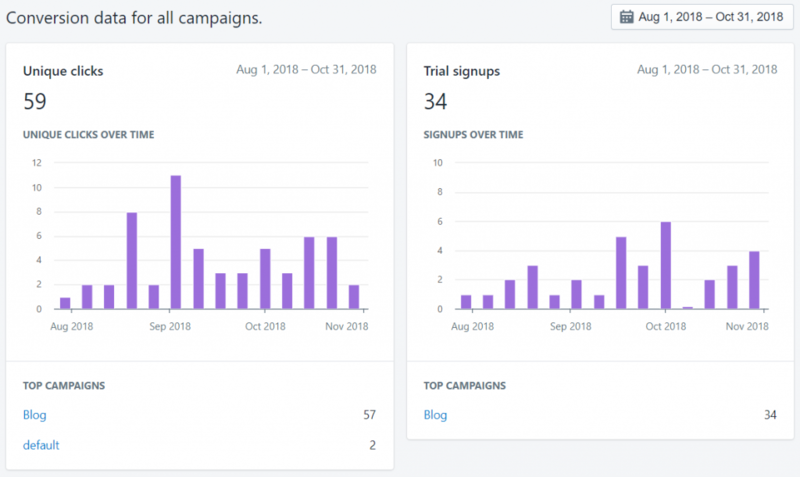 Write 1 Quora answer a week, or 1 guest post a month…just track your progress and make sure you stick to a growth strategy! I’m hoping to publish at least 3 posts in November, and I also have a guest post lined up to acquire another backlink. Hopefully November brings on more income and traffic growth! 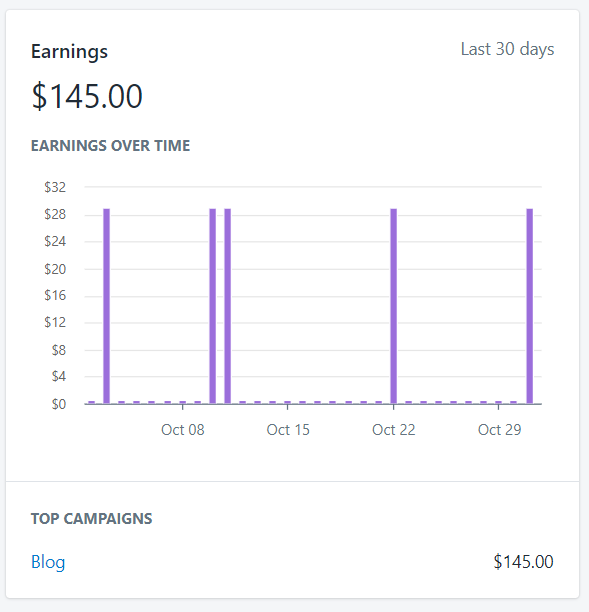 Anyway, that’s about it for this blogging income report! Since these reports are gradually becoming more repetitive, I’m trying to think of new ways to mix up these reports. This month, I want to also include a few other bloggers/websites I’ve been reading lately and some content I really enjoy. Think of it as a mini roundup post! The first post in the Millionaire Interview Series on Millionaire Dojo. Seriously check this blog out! There is some fantastic content on Ebay flipping, personal finance, investing, and more! This recent income report on IndianGirling broke down some pretty diverse income streams/affiliate programs, and I really enjoy Shruti’s blog! Mr. Money Moustache’s recent blog post on the FIRE movement and why some people have it wrong. You can never go wrong with a MMM post! 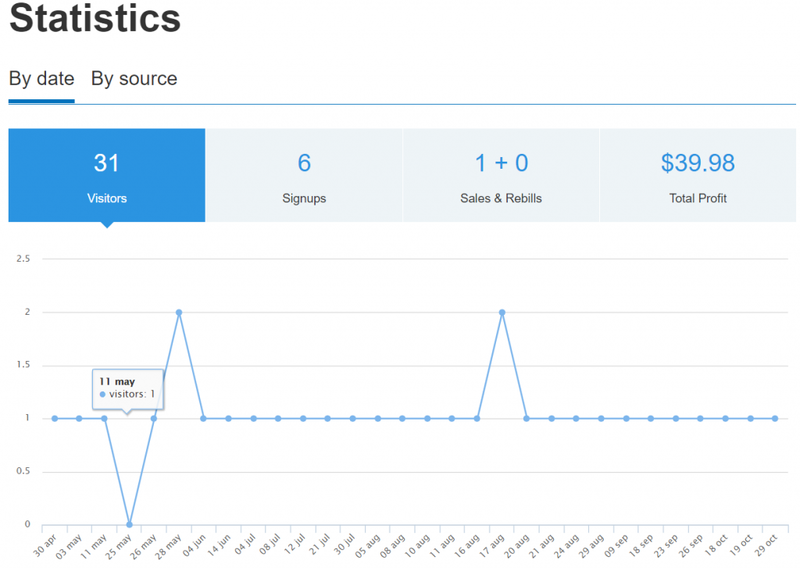 If you want to check out my previous blogging income reports, you can find them all here. Additionally, if you are interested in starting a blog to make money, I highly suggest reading my post on how to create a $100/month blog if you are on the fence! I saw your traffic increase 5k in July and August. Wonder which action you take make that result. Hope to hear from you. Awesome numbers! I need to get to this level!! Thanks for the inspiration. Congrats on the continued success! I need to go through my posts and update them. Sounds like your laser focus on SEO is really paying off and I need to pick one traffic source and master it. Thanks for the mention as well! It’s always nice to know my content is at least readable and it helps to come from a good blogger like you.